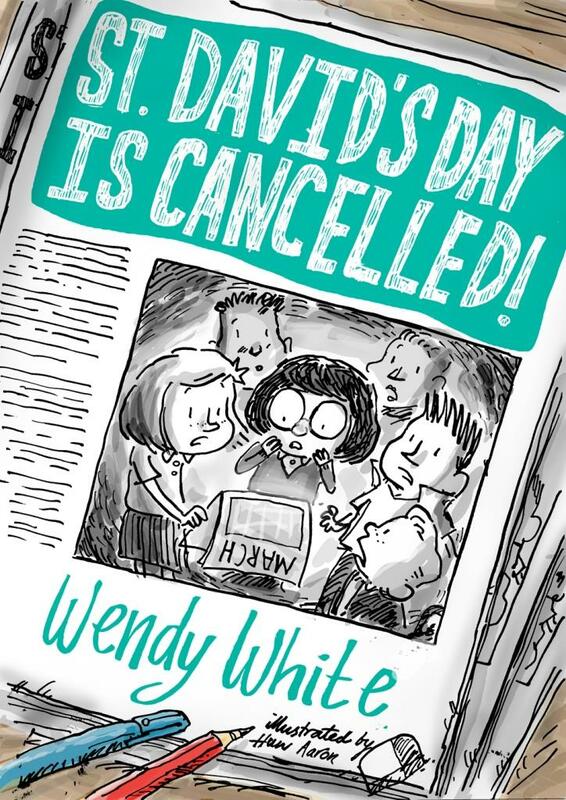 In time for the Saint David's celebrations in Wales, Wendy White brought out her lovely book: "Saint David's Day in Cancelled". Wendy will be reading from her book at the Lit Fest. 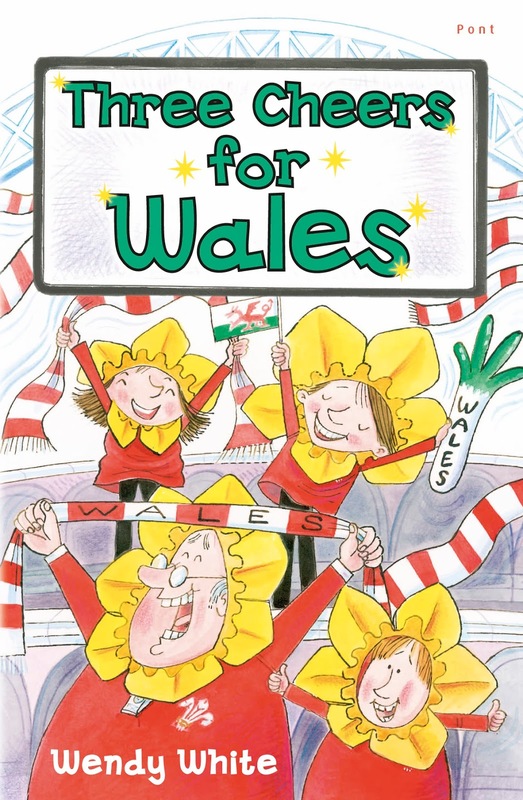 St David’s Day is CancelledChildren’s author Wendy White reads from her latest book and talks about her work. Her fun and light-hearted session is for children with accompanying adults. Suitable for ages 4-10. Darlleniad ysgafn a hwyliog gan Wendy White, yn addas ar gyfer plant 4-10 oed. Here is an interview with Wendy. Welcome and please tell us about the books you’ll be bringing to the Lit Fest. I’ve written three children’s books, Welsh Cakes and Custard, Three Cheers for Wales and St David’s Day is Cancelled. The last one was published most recently – February this year – so I’m especially looking forward to bringing that along to Llandeilo Lit Fest. I’ll also be reading excerpts from my books at Eve’s Toy Shop on Saturday, 29th April at 3 p.m. It’s a lovely shop with the most gorgeous toys and books, so I’m very happy to be invited to read there. My children’s books are fun and humorous. 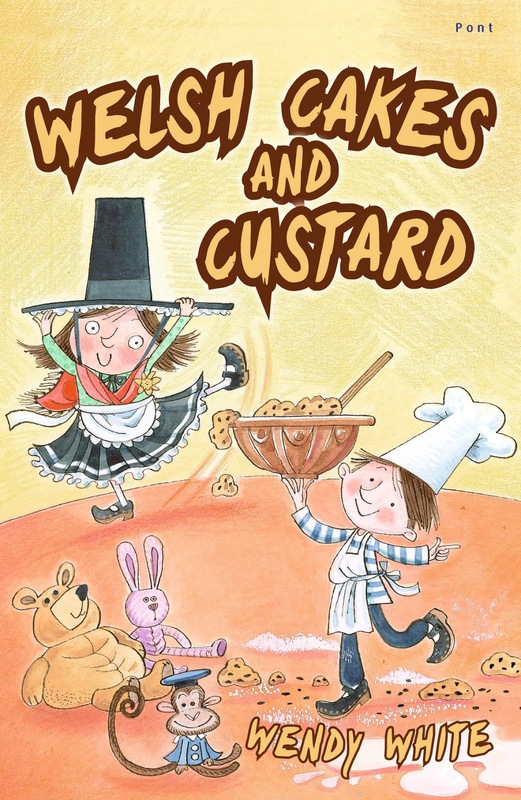 Betsi Wyn and Emyr Rhys, along with their grandparents, are the central characters in Welsh Cakes and Custard and Three Cheers for Wales. They’re aimed at 4 - 8 year-olds and each have five short stories, which include Welsh songs and recipes. St David’s Day is Cancelled is about a group of children who run their school newspaper. When they suspect that their head teacher, Mrs Right, has no plans to mark St David’s Day, they set about investigating and organise a celebration she simply can’t ignore. This book is suitable for 7 – 9 year-olds and has been called ‘funny’ and ‘inspiring’. I’m very proud of my latest book as it’s my new ‘baby’ – I love the humorous illustrations that Huw Aaron of Cardiff has done for it and the whole book has a fun, quirky feel. 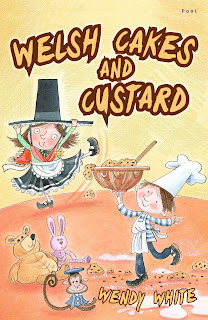 But I guess I’d have to say that I’m most proud of Welsh Cakes and Custard as it won the Tir na n’Og Award in 2014. It was for best English language book with a Welsh dimension, and it was my first, so I was absolutely delighted. Why did you decide to come to the Llandeilo Literature Festival? Llandeilo is a great town with real character and fantastic, independent shops, restaurants and cafes. It exudes culture and creativity and is a wonderful venue for a literature festival. I thoroughly enjoyed being part of Llandeilo Book Fair at Christmas, so I jumped at the chance to be part of April’s Lit Fest. I’m really looking forward to meeting fellow book lovers and local authors too. I grew up in Llanelli where I loved the old town library. I’d spend my Saturday afternoons there and always borrowed the maximum number of books – three at that time (I believe it’s 10 for children now – the lucky things!) then I’d read them as fast as I could. My love of reading turned into a love of writing, but being a teacher and having my own children meant I didn’t have much spare time. About fourteen years ago, when my children were older, I started attending creative writing classes and really enjoyed them. The classes gave me the confidence to submit my writing to publishers, and eventually Gomer Press accepted my first book. I now also write for adults, using the pen name Sara Gethin. Keeping my two identities separate means I can continue writing humorous books for children, but also write darker novels for adults. I have so many. Lots of them are local, such as Kate Glanville, Sally Spedding and Carol Lovekin, and they’ll be bringing their books to Llandeilo Lit Fest too. I also love Irish writers like Emma Donoghue and Roddy Doyle, and my all-time favourite crime writer is Ian Rankin. I love the fact that my editor at Honno Press, Caroline Oakley, used to be his editor at Orion – that gem still brings a smile to my face!